For many of us Christmas would not be Christmas without Channel 4’s animated adaptation made in 1982, memorably soundtracked by Howard Blake. A couple of years later David Bowie surprisingly decided to film an introduction to the 26-minute film, replacing the original one with Briggs himself filmed in Surrey. Bowie's name helped to get it sponsored, entering the American networks and boosting the popularity of the book worldwide. The original story has no words, as no words are needed to tell such a universal childhood dream. A boy wakes up on a Winter day and realises that's been snowing all night: he then runs in the garden to make a (big) snowman. 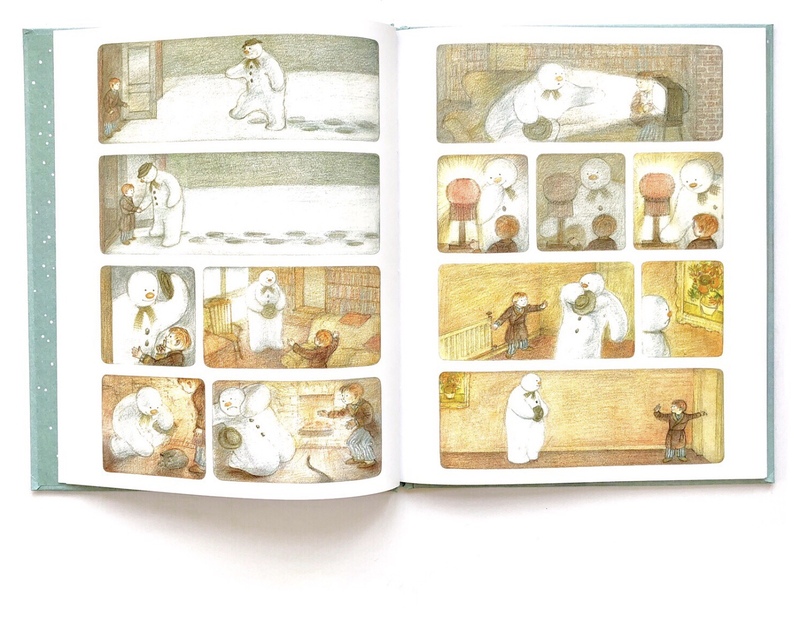 As the Snowman comes to life during the night their friendship begins, the boy shows him his home and The Snowman takes him to a dreamy flight up North, in the snow Kingdom, and back. When the boy wakes up the following morning, his friend has sadly melted down. Children are left with this unavoidable question, which comes as a part of the magic of snow. We (all) eagerly wait for the snow to arrive, then it suddenly starts to fall (often during the night), and it can go as quickly. 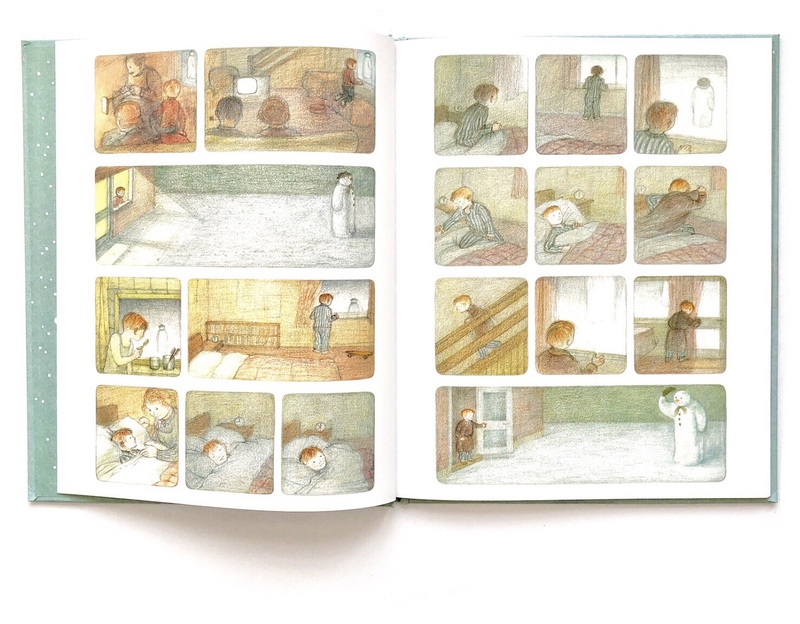 The story has been retold in several ways but the picture book remains as intense as ever. 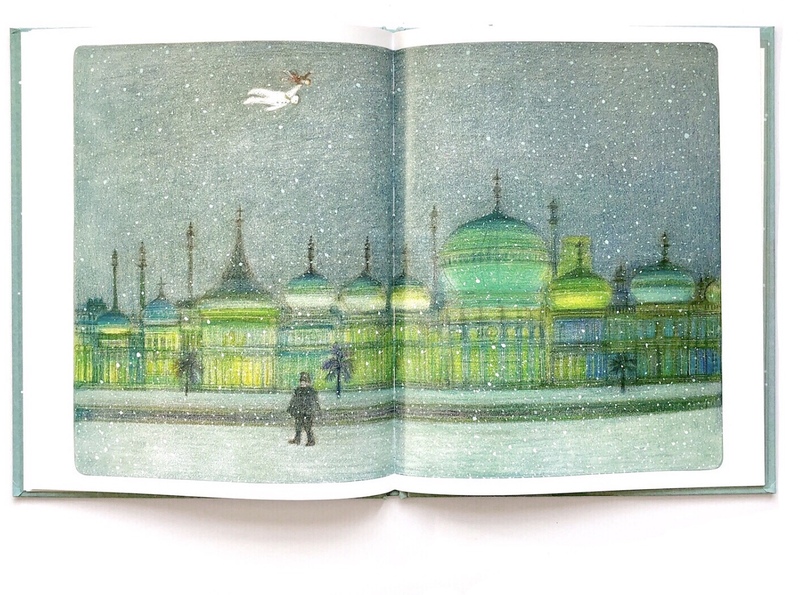 It's now been reissued in a beautiful hardcover edition which also includes a letter from the British artist, who has meanwhile turned 84, and a limited edition print. 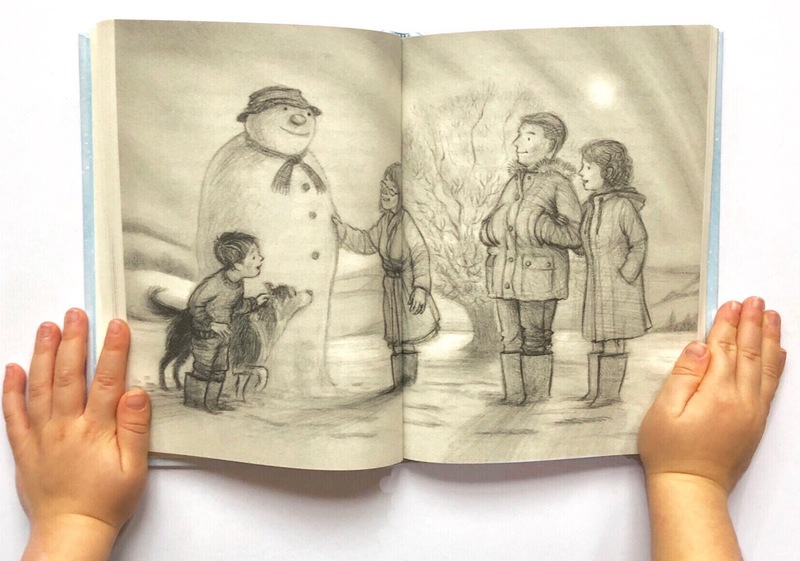 To celebrate the Snowman 40th Anniversary, master storyteller Michael Morpurgo was asked by the publisher, Puffin, to tell the story in his words. 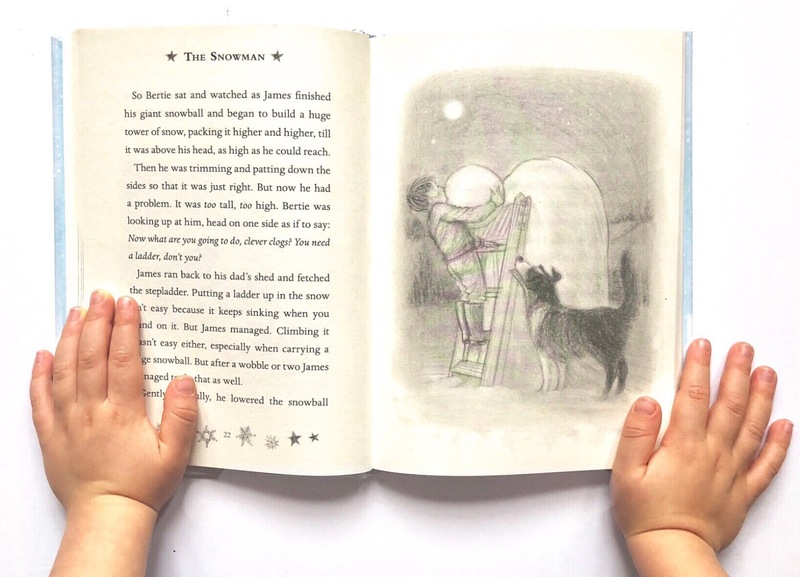 Initially afraid of touching a story that had no need of words, Morpurgo sat in the shed in his garden and wrote this beautiful novella in one breath, by hand, as he always does. The story is set in Devon, and everything happens (of course) on the night of Christmas Eve. It couldn't have been any other way. The writing is super fluid, staying true to the spirit and tone of the book, like a pure celebration of the original story. 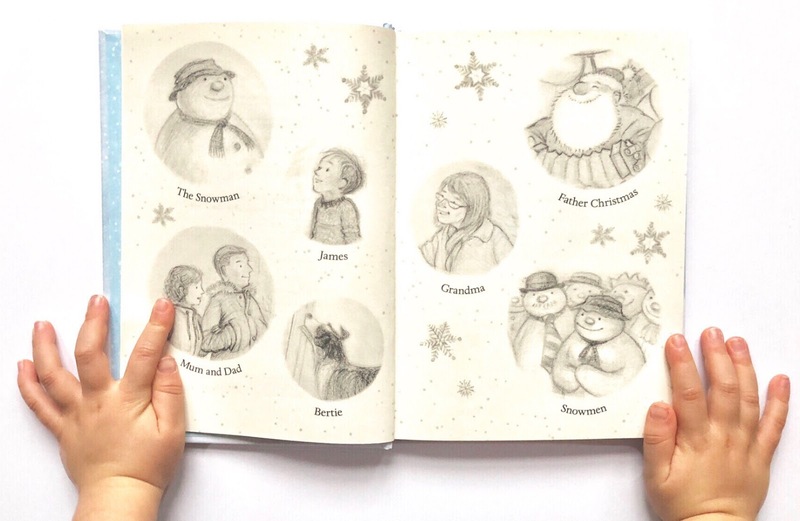 The back matter includes an Afterword by M.Morpurgo, an overview of Christmas celebrations around the world, and some instructions to create the perfect snowman. 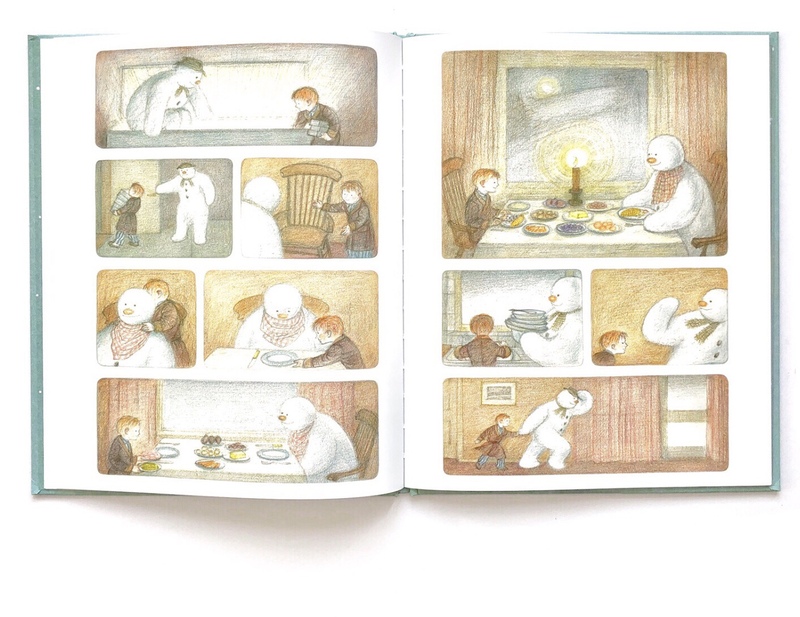 One more beautiful occasion to rediscover the classic picture book.